When Chipotle Mexican Grill reported its third quarter earnings this week, the results were predictably bleak. Last year's E. coli crisis occurred during the third quarter, and the year since saw restaurant traffic plummet. Third quarter profits this year were down 95% compared to the same period last year. So how does a restaurant chain recover from that? Chipotle has a plan, which executives outlined during a conference call Tuesday night. Some of the plan revolves around reducing its exposure in other restaurant chains and focusing solely on its core business. 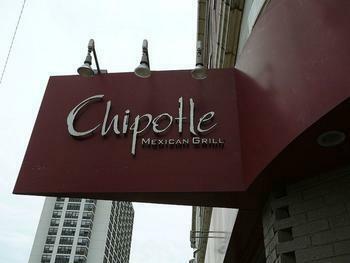 But the company also outlined changes at Chipotle Mexican Grill restaurants, which it hopes will bring back its core customer base. It's adding a dessert to the menu, it's stepping up digital ordering capabilities, and for the first time since 2012, plans an extensive national ad campaign. Steve Ells, Chipotle’s founder and co-CEO, told analysts on the conference call that the last year has been the most difficult in the company's history. At one time last year, Chipotle was forced to temporarily close more than 30 stores in six states after health officials traced E. coli to a common ingredient in the chain's food. The restaurants have reopened and the company adopted new food handling procedures, and there have been no reported incidents since. In an effort to win back consumers, Chipotle has been testing two desserts, one of which will be offered as a permanent part of the menu. During the last quarter, Chipotle expanded its menu with the addition of chorizo, which it said proved popular and helped boost sales. The company is also redesigning its digital ordering system, which is able to take food and catering orders by mobile and fax. The enhancements are designed to make the process more efficient. At the same time, Ellis said the company is testing a system that will allow customers to place their orders at the restaurant using a tablet, if they encounter long lines. Finally, Chipotle hopes to win back customers with advertising – for the first time turning to television as a marketing medium. Ellis said the company has not yet settled on an ad agency, but said it expects consumers nationwide will be seeing the chain's commercials next year.